When you get behind the wheel of a Porsche, something happens to you. Whether it’s the smell of freshly stitched leather or the rounded speedometer, you are instantly changed. With one grip of the ergonomic wheel, you feel confident, powerful and connected, as if you are part of a mythology that began in Stuttgart, Germany long before you were ever alive. Between 1970 and 1998, Porsche won Le Mans 16 times. Lake Underwood, Art Bunker, Bob Holbert, Charlie Wallace, Bill Wuesthoff, Augie Pabst. Even modern-day Mark Webber. 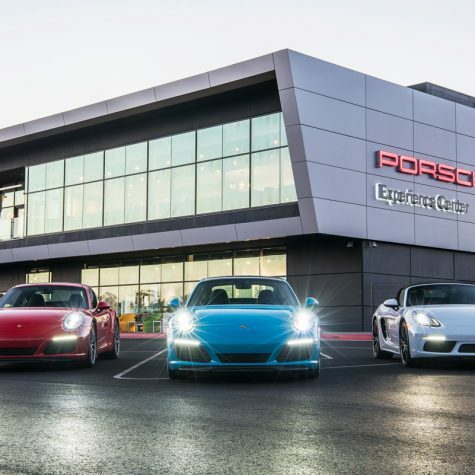 This sense of connection to racing history is amplified as you sit in the driver’s seat of a $124,000 navy blue Porsche 911 Targa 4S at the Porsche Experience Center in Carson, California, about 13 miles south of Los Angeles — and wait to take your 90-minute turn on the 53-acre racing track. 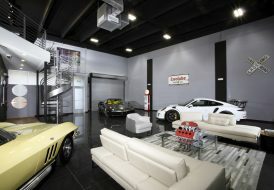 (The Los Angeles track is one of only two in the United States; another Porsche Experience Center is located in Atlanta). “Ready?” asks your driving coach. He looks about your age, perhaps a little younger. Across the line of parked Porsches, you see an older gentleman getting into a purple Panamera with a gray-haired coach and a 20-something blonde conversing with her coach, a female. Smart marketing technique, you think. “Ready.” You hear yourself say. You hit the gas pedal. 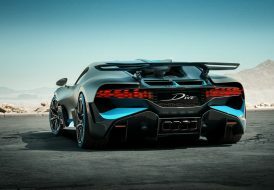 The 420 hp engine rumbles and you’re off. 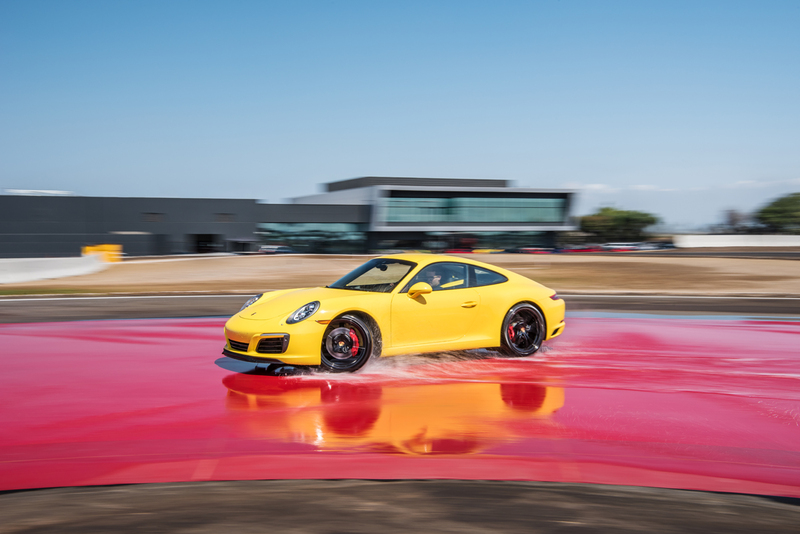 First, you try the twists and turns of the 1.3-mile handling circuit. Your adrenaline begins to pump. A twinge of fear. You grip the steering wheel tighter. Steady, nerves. Designed to mimic a winding country road with a number of corners and undulations, this course keeps you on your toes as you negotiate curves and learn braking techniques. Then there’s the acceleration straight — a nearly 3/4 mile straight that ends with a replica of the Karussell (Carousel), the famous banked curve on the Nordschleife (North Loop) of the Nürbugring. Lewis Hamilton, you are not. You take this curve with smooth, calculated caution. After the acceleration straight, there’s the low-friction handling circuit, low-friction circle, a dynamics area and even an ice hill with a 7% slope. Eventually, you warm up. Finally, your driving coach directs you to the kick plate, a flush-mounted, hydraulically actuated plate placed before a wetted epoxy surface designed to test your control skills when encountering a skid or spin. You release the brake. The car rockets forward and spins around 180 degrees. Adrenaline pulses through your body again; your heart beats through your chest. The Targa is unfazed, absorbing the spin in masterful form. 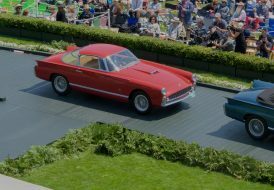 Is this what founders Ferdinand Porsche and his son Ferdinand intended when they first set up shop in 1948…this thrilling mixture of awe, fear and power all rolled into one ride? The 911 holds particular sentimentality for Porsche aficionados. Ahead of its time when introduced in 1964, the 911 won the hearts of sports car enthusiasts from the outset with its air-cooled six-cylinder flat engine with two-liter displacement delivering 130 hp. The Targa, with its distinctive large curved glass rear screen, fixed rollover bar and retracting cloth roof, elevated the classic 911 lineup in 1966 as the world’s first ever safety cabriolet. 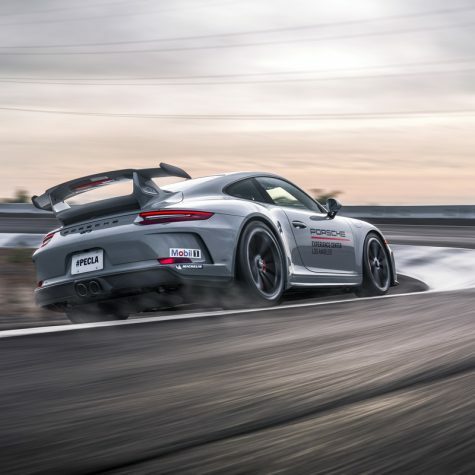 (It was named to celebrate Porsche’s victories in the Targa Florio road race). 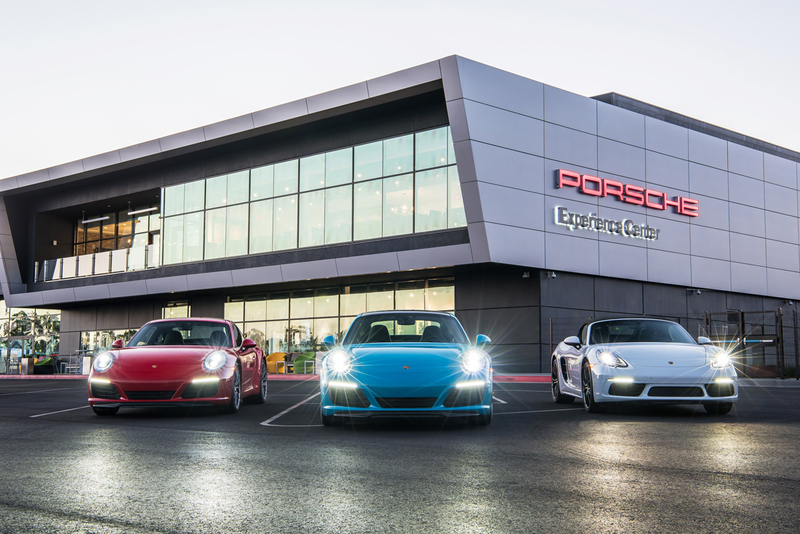 The Porsche Experience reminds you why fine sports cars like the Targa exist. To endure. To astonish. To inspire. 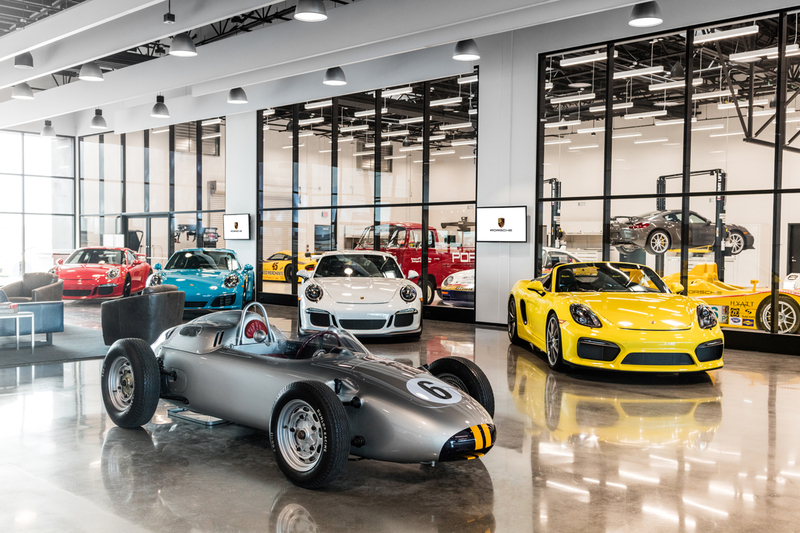 As for the Porsche Experience, it’s more than just a place to drive your favorite sports car from the world’s largest racecar manufacturer. The draw is, you get to channel your inner Mark Webber or Lewis Hamilton for 90 minutes and learn how to drive like a real pro. And if you’re lucky enough to afford a Porsche? Well, you can really experience what the car was designed to do. When you’re finished on the track, you walk past the retail store with Porsche branded merchandise and the historic racecars on display. 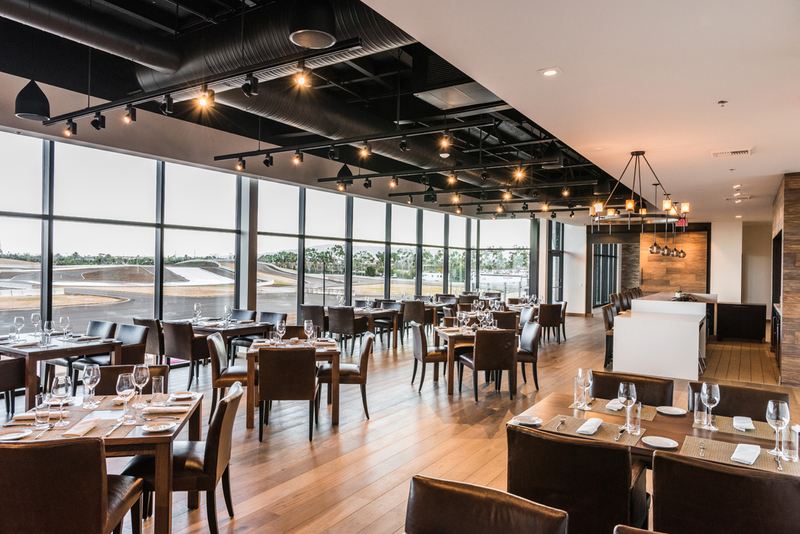 You climb the stairs to the second floor of the Porsche Experience Center, where you find Restaurant 917. Helmed by executive chef Matt Lee (previously from the Getty and Saddle Peak Lodge), 917 serves up fine food, wine and killer views of the track. 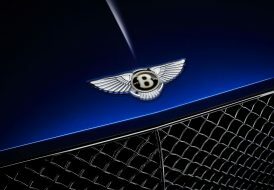 “The name and décor were inspired by the legendary 917 racecar, which gave Porsche its first overall wins at the 24 Hours of Le Mans in 1970 and 1971,” the menu declares — and you know you are in for a real treat. The meal provides another point of surprise for you — it is exceptionally good. Five-stars good. 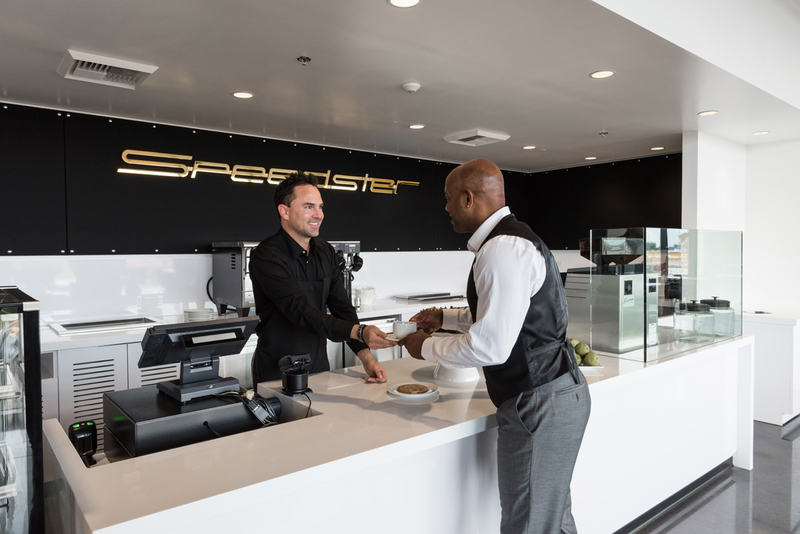 Servers, who are trained to communicate with sign language (so as not to disrupt the flow of conversation and driving scene below), deliver pretzel rolls parked alongside pats of butter shaped like Porsche Carreras. Standout appetizers include Thai curry clams, shrimp and Hamachi ceviche and Spanish octopus. A salad of lime-infused heirloom tomatoes and burrata and giant Tomahawk pork chop are topped with delicate purple pansies. Sea scallops and wild salmon are also elevated with Lee’s meticulous attention to detail. 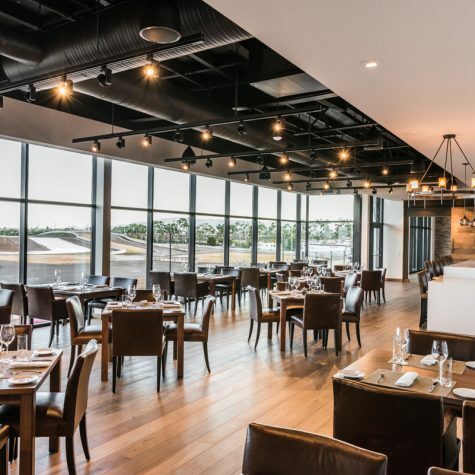 The meal is elevated and refined, simple and straightforward — not unlike the Porsches that whip around the track below you. 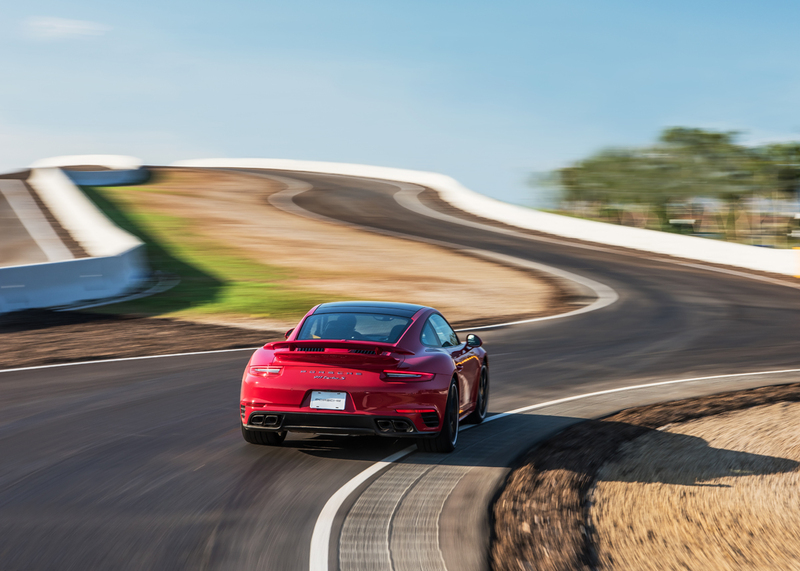 It is the pièce de résistance for the day, a day etched into your memory as the time you experienced the intelligent performance of a Porsche for real. Now, where is the nearest Porsche dealership?